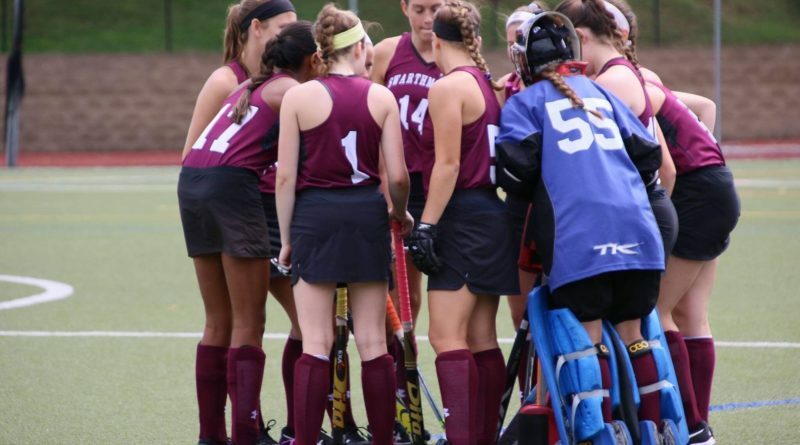 As the weather inches closer to spring, Fall-exclusive varsity sports teams at Swarthmore are beginning their spring training. Field hockey, volleyball, and men’s and women’s soccer began training the week of March 25, and they’ve been getting back into the routine of multiple practices, lifts, and runs each week. The women’s field hockey team has been practicing three times a week and lifting three times a week in order to improve their skills on the field as well as their strength and stamina in the weight room. After ending the season with a 7-10 overall record and a 3-7 conference record, the team is working on adding new positions and plays to their repertoire. First-year field hockey forward Marion Carr ’22 believes the Spring season offers a unique opportunity for her to improve her technique as a result of more individualized attention from her coaches. “In the Spring we have a lot more time to focus on specific skills we need to improve individually,” she said. The Spring season also provides an opportunity for the volleyball team to work on developing position-specific skills. According to volleyball setter Alyssa Nathan ’21, she receives individual attention during the Spring season which is beneficial for improving her setting skills. The Spring offers a unique opportunity for players to receive personal feedback from coaches as well as working on team-oriented drills. Nathan thinks a more relaxed atmosphere provides an opportunity for team members to connect. Carr also agrees that Spring practice environments for fall teams are conducive to improving team camaraderie and bringing the team members closer together. First-year men’s soccer defender Ben Lau ’22 thinks Spring practices can also bring teammates back together after spending a couple of months apart from each other. During the Spring season, Fall sports teams have the opportunity to work with their coaches as well as athletic trainers Michelle Pifer and Chris McPherson. NCAA rules stipulate that during the traditional segment of the year (the Fall season) up to twenty contests can occur, while during the nontraditional segment (the Spring season) only one date of competition is allowed. Because the teams are competing less frequently, there is more time for them to improve their conditioning in the weight-room. Much of the time spent both on the field and in the gym this spring season is in preparation for success in the upcoming Fall season of 2019. “Our general goals for the spring season include improving basic skills to a high level so that we have a solid foundation for improvement,” Carr said. Even though Carr is a first year , she is a fiery force on the field hockey team, scoring six of the team’s 26 goals during the fall season of 2018. 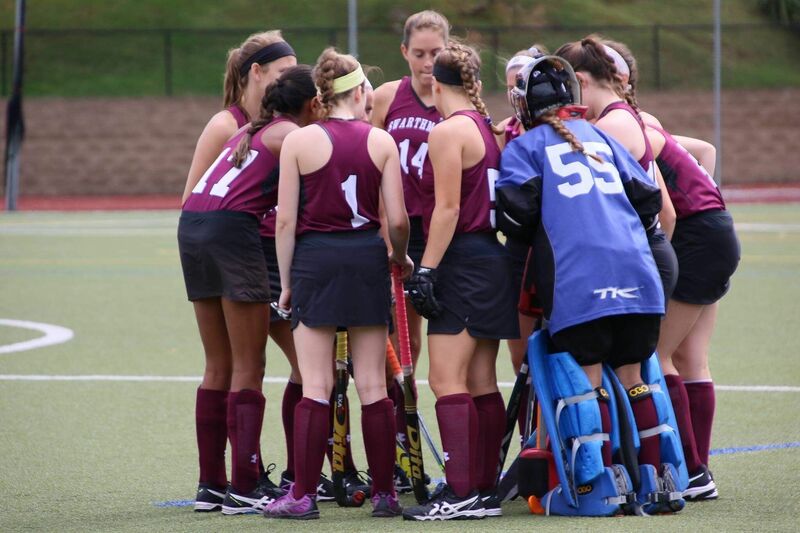 The field hockey team had their best conference performance since 2011 this past season, finishing in seventh out of eleven teams in the Centennial Conference. The men’s soccer team is also interested in using their spring practices to prepare for future results. “I think our overall goal in general is to make conference playoffs and eventually NCAA playoffs,” Lau said. There are five seniors on the men’s soccer team, all of whom periodically participated in scrimmages during the off-season. Now that the spring training season has begun, only one of the seniors consistently attends practice. Men’s soccer ended the fall season with a 9-7-1 overall record and a 4-4-1 conference record. Although Lau is a freshman and center back, he scored two of the team’s 28 goals, both of them being game winners. He is using his spring practices to work on more aggressive play. This Spring season the volleyball team consists of only twelve team members, three of which are abroad for the spring semester. The team is small and close-knit, and having fewer team members allows for more individual practice. “We have very few people because we have a lot of girls abroad, and we have a few injured, and we had a small team to begin with so … we’ve gotten a lot of individual practice and a lot of reps which has been nice,” Nathan said. Nathan is one of the volleyball team captains this Spring, and has been using her leadership role to focus on boosting the team’s morale and camaraderie. All of the fall sports team members have been working hard this spring season to improve both individually and as teammates. With about a month left of practice time, everyone is focused on making progress this spring and building a foundation for improved performances in the fall. ← So You Know Nothing about March Madness?